How many people know what really goes into their favorite beer? What contributes the flavors in that harmonize with our taste buds and make a particular beer stand out from the rest? The simple answer is the ingredients. 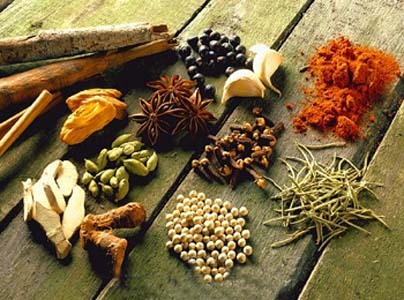 But in reality, it is the combination of all the ingredients and how they work together that make amiable flavors pop. Being able to identifying these combinations and embody the flavors in beer is what separates good brewers from great brewers. After some discussions with Tom, the two of us though it would be rewarding and enjoyable to setup a project to explore flavor combinations and recipe formulation. By walking through the steps of building a recipe – conceptualization, initial brewing attempt, tasting and revising, rebrewing, etc – it would serve as a great tool to refine our own perception of beer and what ingredients contribute to what flavors. Additionally, it presents another facet of brewing that the two of us could explore together through this blog – a core goal we established from the very beginning. Furthermore, if through this exploration we can generate information or inspiration for anyone who reads through our ramblings, it would be a welcomed bonus. As a place to jump off from and to make sure we don’t retreat to ‘brewing’ comfort zones, we decided to force our hands a little and incorporate some randomly assigned brewing ingredients. This would accomplish two things: first, it would help provide direction for a recipe’s conceptualization. Second, it forces either of us to expand the stable of ingredients we have familiarity and comfort with. So after more discussion, the decision was made to move forward and we established the following guidelines for how the project would operate. Each participant is allotted three random ingredients from the list below. 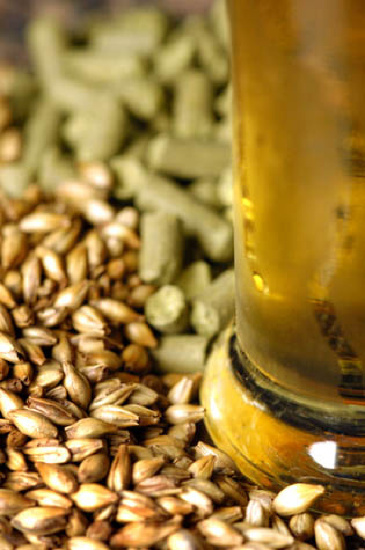 Two of the three ingredients have to be used somewhere in the brewing recipe (i.e. one may be dropped). Other ingredients may be used at the discretion of the participant. Each participant has to commit to brewing the recipe at least twice, which allows for sensory analysis and revision of the recipe. Each participant must get feedback from other individuals (including other participants) when evaluating a particular iteration of the beer. Each participant must be willing to write about each step of the experience (both the good and the bad) as a means of disseminating the information to anyone else who is interested. For the pool of random ingredients that Tom and I were going to pull from, we decided to limit to pool to 20 items. Each item was considered both obtainable, in that they could easily be mail ordered if needed, but also it would not be an everyday brewing ingredients. Compiling the initial list of ingredients generated over 30 items. However, we implemented a veto option – if either of us did not want to brew with a particular ingredient, it was scratched from the list. Through this, the collection of ingredients was whittled down to the following 20 items. After pulling numbers randomly from a mug, Tom and I had our individual list of mandatory ingredients. To be honest, the selection process worked out better than I had envisioned. The combinations we each received were not clashing in any way. Instead, each combination provided a muse and a direction we could explore. However, where the combination pointed us too and how we took it are topics for future posts. As this project progresses and the positives and negatives are reported back, it is our desire to present the information in an easily references format. To keep things consistent and easy to navigate, we will use the same reference footer with links at the bottom of each post for the project. In the beginning, when the links are disabled, the footer will act as an outline of what is to come. As more and more components are posted and we are able to provide links between components, the footer will act as a navigation tool to assist getting at the information of interest. The more interactive we can make this project, the more I believe we are going to get out of it. Tom and I are already planning to ship samples of each iteration to one another for ‘virtual’ tastings together (over the phone) to discuss what we have and how to refine it for the next brewing. That being said, I'll throw the gauntlet out there and state in any if anyone else who reads this blog has the desire to participate, please do so. Just follow the guidelines above, randomly select your ingredients, and let us know how the recipe progresses. You can even use a random ingredients generator a reader wrote for us - thanks Josh! We'd love to keep tabs on anyone's thoughts, questions, or suggestions for the recipes, beers, concepts, or the project as a whole. So please do not hesitate to voice your thoughts either here as a comment or by shooting us an email. Input from those following this blog is one of the most rewarding features we get. Sounds like a great concept. I'm in! I'll shoot you an email Jeff for the details. I hope Tom goes for a darker beer with those ingredients. A light wheat beer would just be too easy! Not to spoil any surprises, Luke, but I think you might be disappointed . . . I might be in on my next brew-day. I will have to adjust my brew schedule but this concept is awesome. It would make for a great homebrew contest to do a random draw of ingredients and then assign say 10 brewers to each set of ingredients and then go from there. Next brewday won't be till March but if I go with this concept I will send a email and updates and will probably update on my blog! Thanks Josh - that's awesome. I've added a link to your script up in the body of the post. If you brew your own beer along these lines, please let us know how it goes.